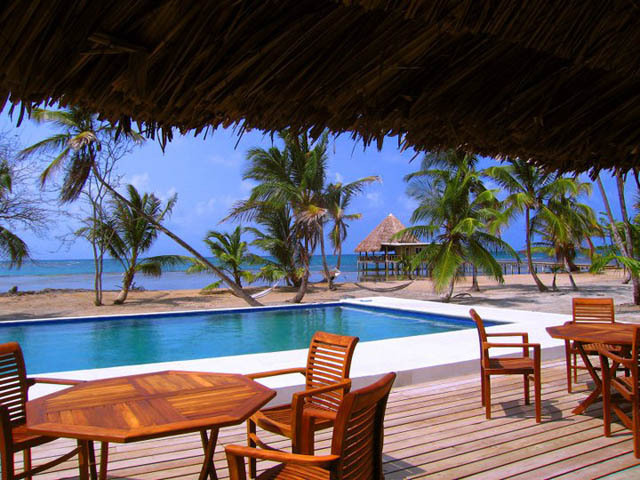 Coral Lodge is a privately owned eco-resort built on the coast of Colon province. 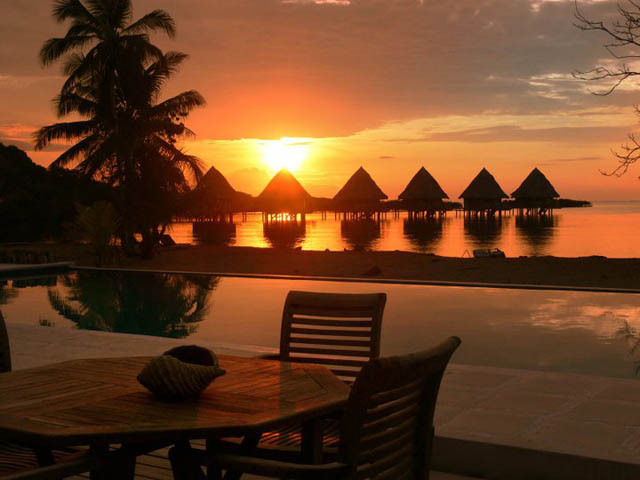 It was purposely built outside of the Kuna territory to offer the beauty of the San Blas region but with a more luxurious, Western style than Kuna building permits allow. 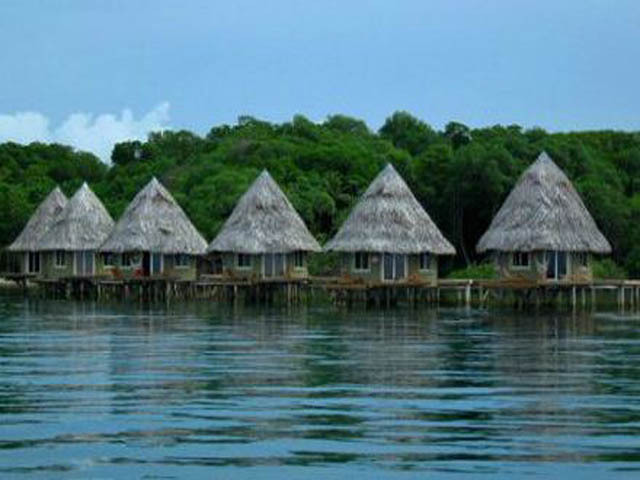 Coral lodge offers just 6 exclusive ‘water-villas’ built off of a long dock which extends into the ocean. 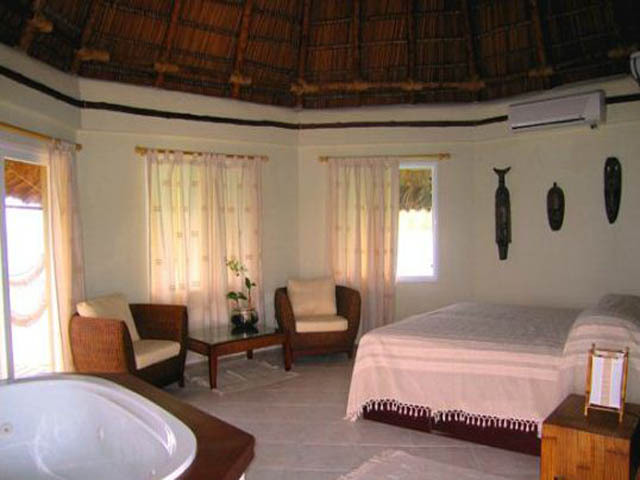 Unlike the traditional bamboo cabanas found on the islands in San Blas, these adobe plastered casitas offer a modern European feel in a tropical, paradisaical, setting. Each spacious, tastefully-decorated, room features a comfy King-size bed, a/c, ratan sitting area, real jacuzzi tub, full modern bathroom, and hardwood sundecks outfitted with chaise lounge chairs for enjoying the magnificent panoramic views. 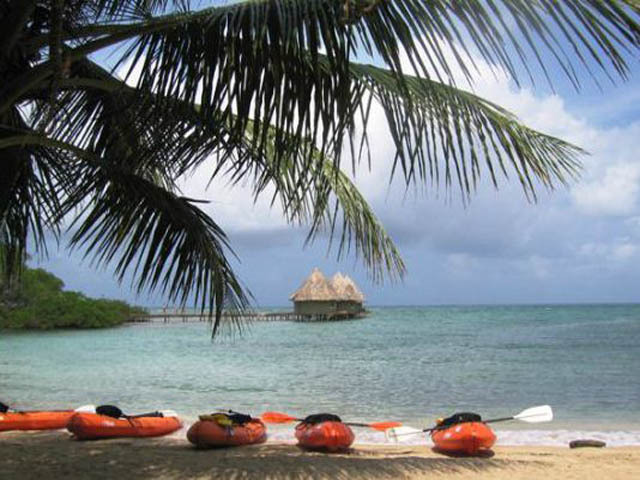 You can even climb down the ladder from your deck and swim or snorkel the reefs right below your cabana! The small beach features well manicured golden sands which roll gently to meet the calm crystal-clear Gulf waters. If the beach isn’t your scene, you can cool off in the pool. Meals are offered in one of two restaurants headed by Chef André Neiderhauser. 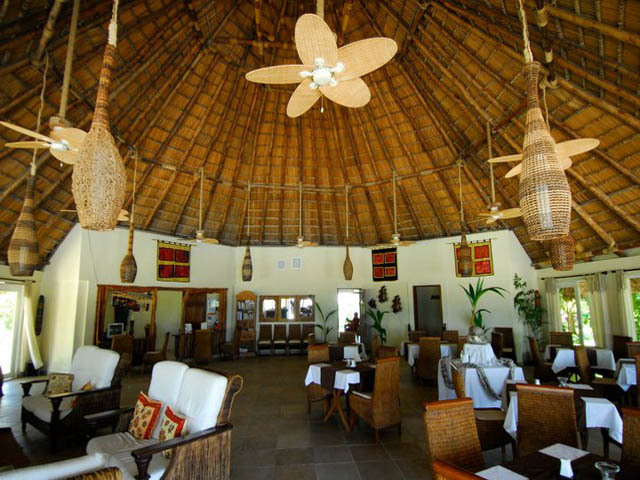 You can choose between the open-air restaunt which sits perched over the ocean, or the enclosed main-land restaurant, which also features a reading room and handicraft store. 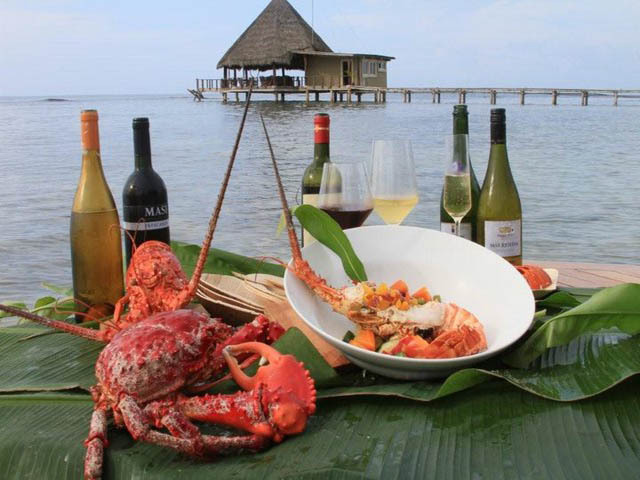 The menu offers creatively prepared dishes of seafood, vegetarian and a smattering of the usual land-based fare. There is of course a respectable wine and spirit list to enjoy before, during, and after your meal. 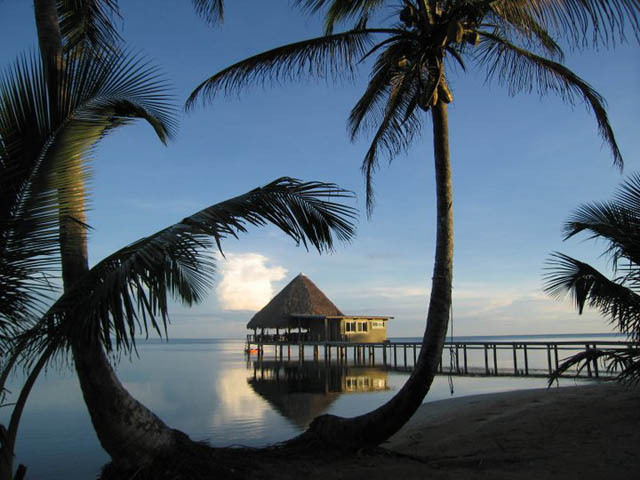 Coral Lodge offers a full array of spa services, ½ day tours to San Blas and an impressive selection of diving and adventure tours. 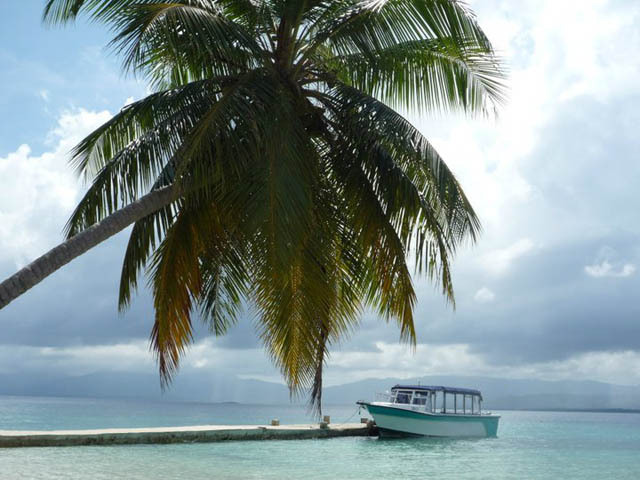 Coral Lodge is the only hotel in the San Blas region which offers diving excursions in and around the San Blas coral reefs. 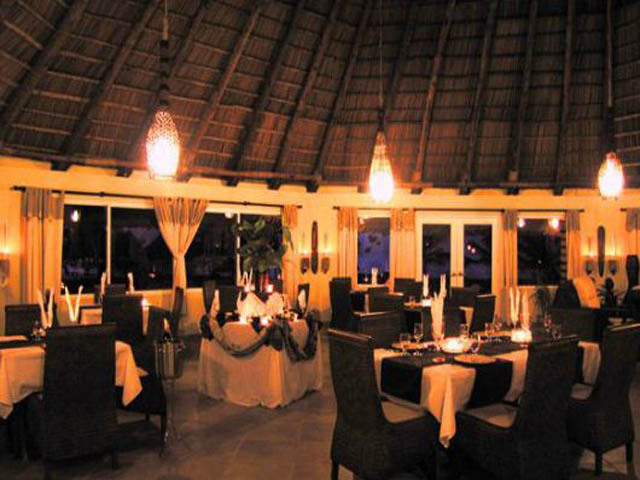 35 minutes flight from Albrook airport to Coral Lodge or vice versa. 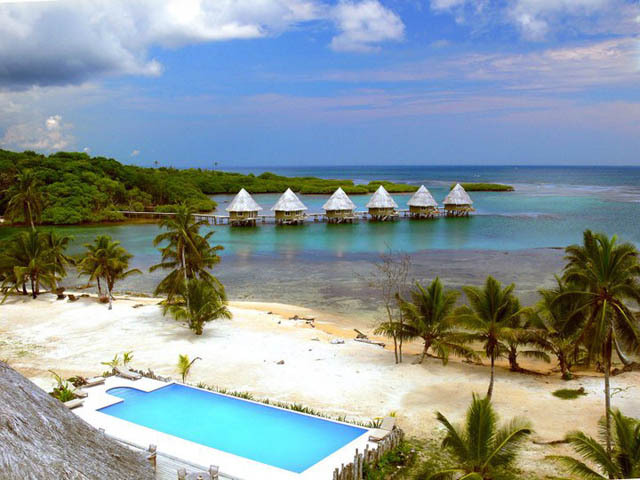 Spectacular panoramic views of Panama’s nature. 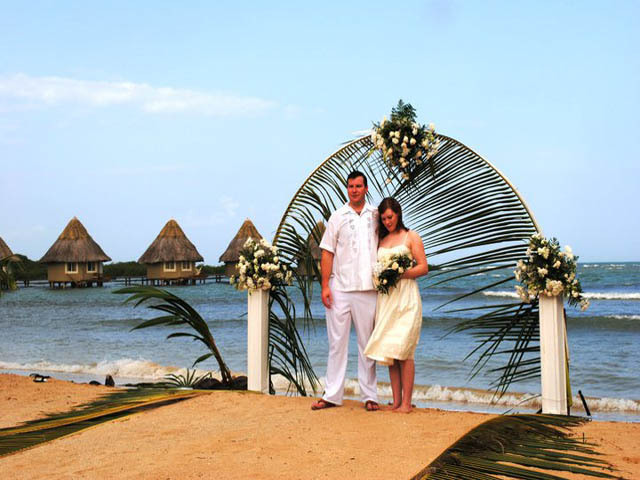 TO: 9am departure by car from your hotel in Panama city. 2 ½ hour scenic drive to the Caribbean coastal town of Miramar. 30 hour boat transfer to the lodge. FROM: 11:30 am departure by boat from the lodge to Miramar. 2.5 hour drive to Panama City. 3:30pm drop off. 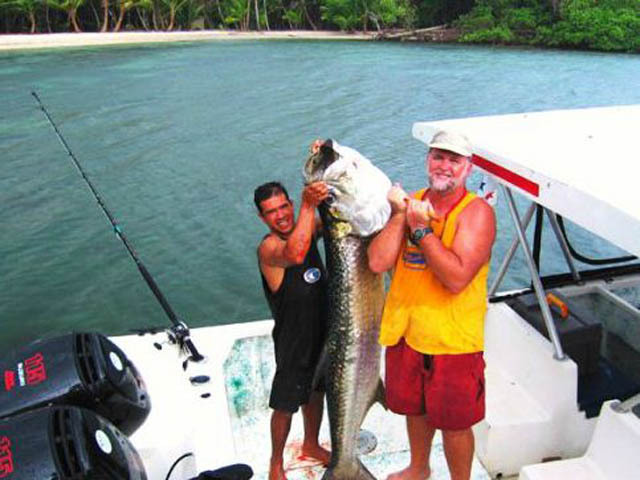 TO: 12:30pm departure from the Ocean King pier in Miramar, Colon for a 30 minute boat transfer to the lodge. FROM: 11:30 am departure by boat from the lodge to Miramar. 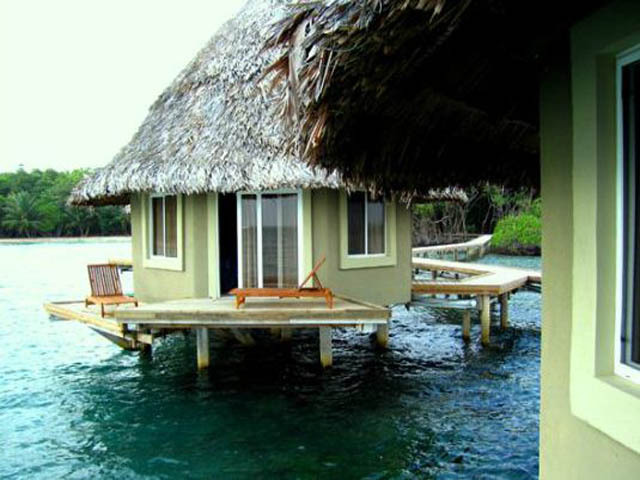 Because Coral Lodge’s bungalows and walkways are over the water children under age 10 are not allowed for safety reasons. Given the type of activities available at Coral Lodge, we do not recommend booking with us if you plan to bring children and/or adolescents over 10 years of age unless you are certain they will enjoy nature related activities and will not create a disturbance to other guest who want to relax and enjoy our unique setting. We do not have TV, internet, video games or activities designed for children and since a number of situations could be hazardous for them, parents must exercise care and control of their children at all times. We do not allow rough or boisterous behavior. – A deposit of 30% of your total invoice is required within 14 days of confirmation. We reserve the right to cancel any reservation without notice if payment is not received during that period. The balance of your invoice is to be received at least 30 days prior to your arrival date. As our accommodation is limited, if we do not receive the balance by the due date, we may assume that you have cancelled your proposed stay with us. Cancellations must be made and received by Coral Lodge in writing either by email or fax. Note: No refunds for No Shows or days not used resulting from late arrival or premature departure.